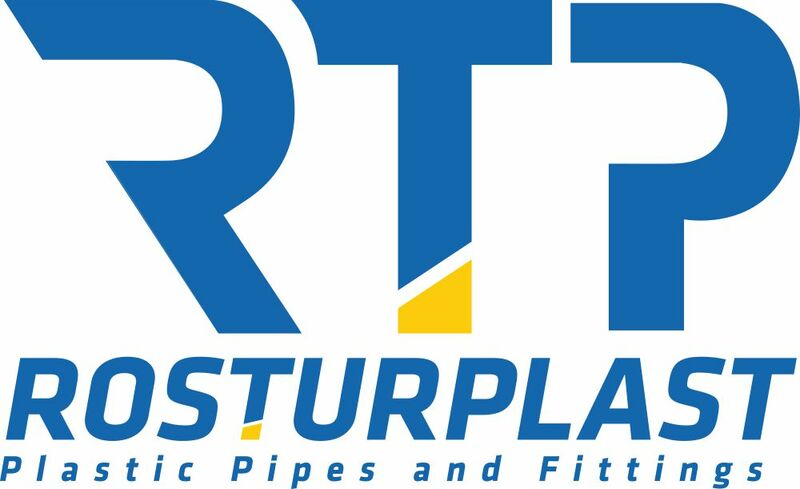 Elbow Threaded Female “RTP” is used to join a PP-R pipe and a system component, female-threaded at 90º angle to each other. 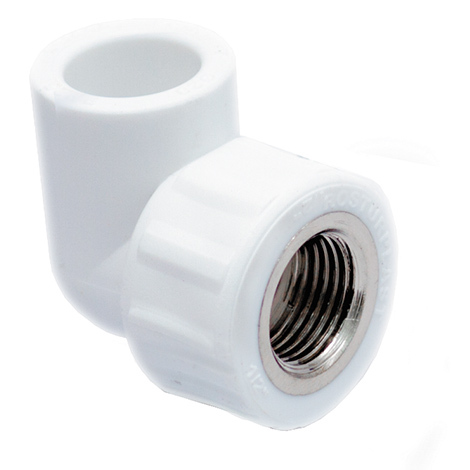 The combination square complies with the National Standard GOST 32415-2013 and withstands pressure up to 25 bar. The embedded parts are made of high-quality low-lead brass LS-59-2. 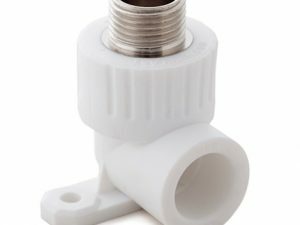 are used in the cold/hot water supply systems in the apartment, office and industrial buildings, in the heating systems, heating, water treatment systems as well as in the pneumatic and process pipelines. 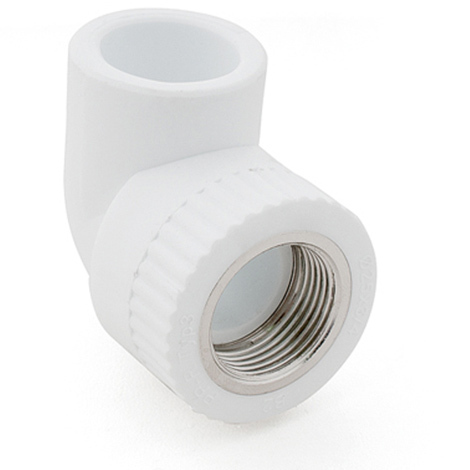 The polypropylene piping is suitable for all known types of coupling. 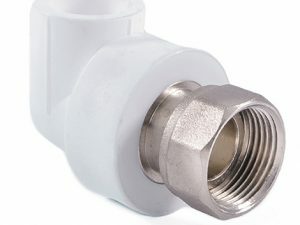 Coupling of fittings and polypropylene pipes is performed by means of thermic flareweld; coupling of plastic parts with the metal ones is carried out by means of a socket diffused welding; coupling of plastic parts with the metal ones is performed with the help of combination fittings and flange joints. 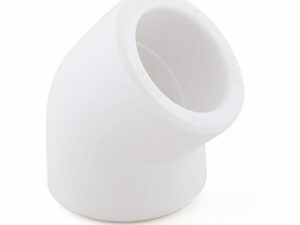 The simple combination fittings, shut-off valves combined provide means for combining of polypropylene pipes with other systems and connecting them up in a number of ways. less noise level (versus the metal pipes) of liquid flow. 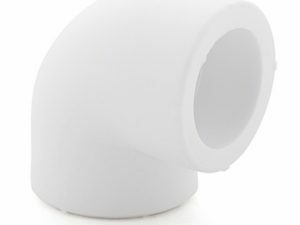 a polypropylene is an eco-friendly material and evolves no hazardous substances while in pipeline service.